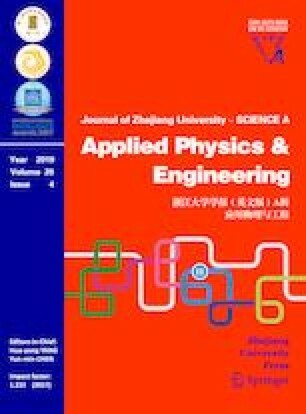 There have been few experimental and numerical studies on damping effects in fluid-structure interaction (FSI) problems. Therefore, a comprehensive experimental study was conducted to investigate such effects. In experiments, a water column in a container was released and hit a rubber plate. It continued its motion until hitting a downstream wall where pressure transducers had been placed. The experiments were repeated using rubber plates with different thickness and material properties. Free-surface profiles, displacements of the rubber plates, and pressures were recorded. In addition, a numerical model was developed to simulate the violent interaction between the fluid and the elastic structure. Smoothed particle hydrodynamics (SPH) and finite element method (FEM) were used to model the fluid and the structure. Contact mechanics was used to model the coupling mechanism. The obtained numerical results were in agreement with the experimental data. We found that damping is a less important parameter in the FSI problem considered.